I love using task cards in my room. Since I remediation math to 7th & 8th grade resource students, I have a lot of different levels. Sometimes we all need to practice a certain skill like order of operations. Sometimes they have individual skills to practice like computation with whole numbers or computation with decimals. We can spend 10 minutes with them or 40 minutes with the cards. 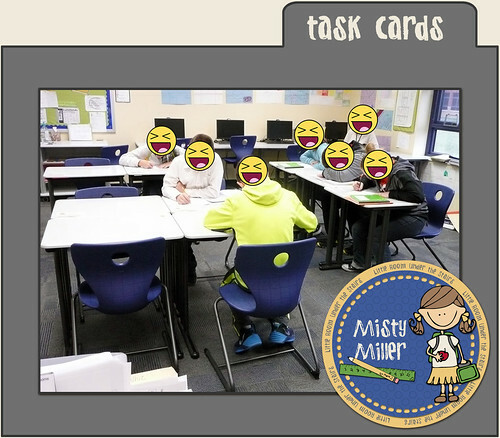 Task cards offer me flexibility with my kids and class time. You may be wondering, "What is a task card?" I know I was when I first came across them on Teachers Pay Teachers. 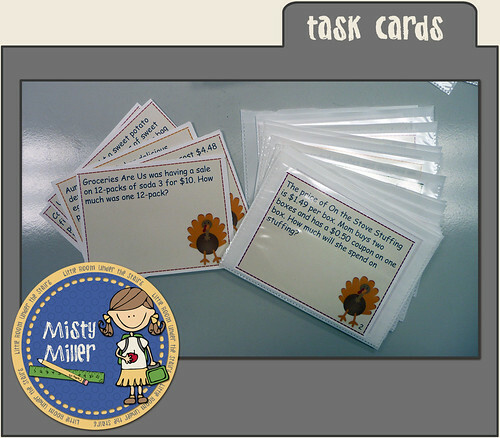 Task Cards are simply index size cards with some question to answer or skill to practice. 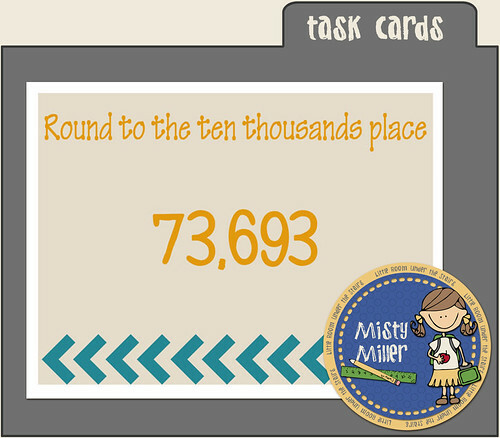 Here's an example from my rounding cards. 1) Assign students to a specific set of cards for individual practice. This allows you to differentiate for individual needs. We have 10-15 minutes each week for students to practice skills on their level. 2) Use them in stations. You can have a set of cards at a station for all students to practice. Sometimes I set up 4 stations of activities that revolve around one subject such as order of operations. The students are paired up and rotate after 10-15 minutes. Then I taped them on all of my desks. I gave the students a recording sheet and instructions to only work on the problem at the desk where they were sitting. They must move and not peer over to other desks. 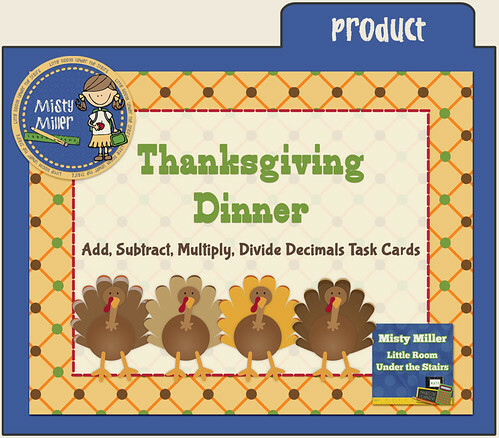 Here's the set of task cards I used: Thanksgiving Dinner. 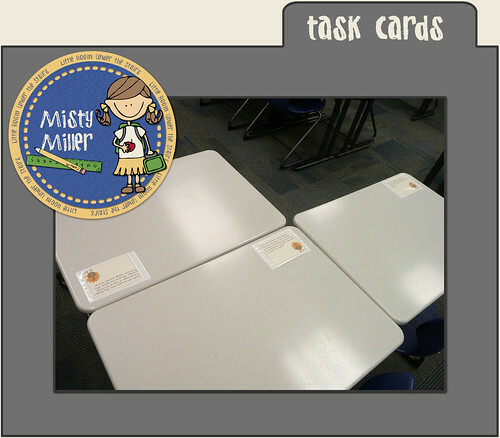 Want to get started with task cards in your classroom? Click here to see task cards (free and paid) at Teachers Pay Teachers. You can then search by free/paid, grade level, and subject. 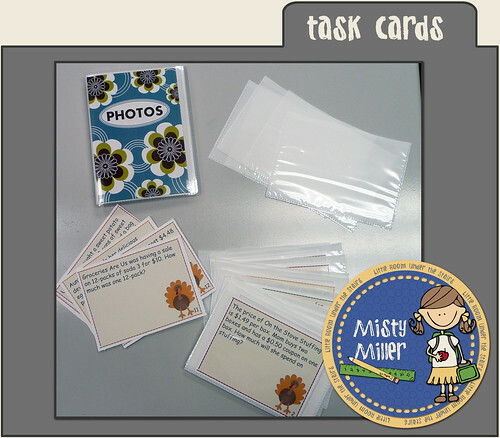 If you are using task cards in your room, I'd love to hear any tips for using or storing them!